A man got more than he bargained for recently after slapping his wife in the presence of his sister-in-law in Lagos. 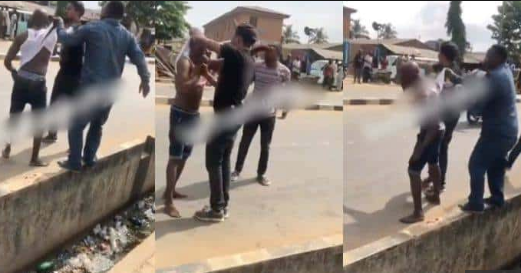 The man had stormed his sister-in-law’s shop along the Igando-Ikotun road to continue dragging an issue he had with his wife. In the course of their argument, he slapped his wife, prompting her to call in her two brothers, who swiftly moved in and stabbed the husband. While heading to the hospital to get treated, the husband vowed that the fight has just begun. Sigh!